New approaches to learning at the university level has forever transformed the architecture of the traditional college library. Unlike libraries of old that were quiet and tranquil, the modern college library is a place for “content creation” for students to collaborate and exchange ideas and concepts. Libraries are essentially structures that deserve architecture commensurate with the vision, purpose and value assigned to its purpose. Culturally representative of the institution, the architecture of a library expresses the values of the institution. Unlike the library of yesteryear, modern library design needs to be student-centric and flexible to meet the needs of the collective student body and faculty, as well as the needs of the individual. The floorplan should be a blend of spaces from the traditional and formal arrangements of study and research areas to individualized suites for collaboration, including soft seating areas, informal, inviting and comfortable spaces to create a holistic learning environment that works for all students. Technology has been a driving force of change in academia. The modern university library is no longer a print repository of books and manuscripts with reference desk clerks—it is the hub on campus for students to come together to interact, create, research and collaborate. It is a place where the network and internet provide the backbone to writing labs, communications centers and research areas. Rapid advances in technology have accelerated the learning curve for both the architect and the university. Planning for the libraries of today, and the “library of the future”, challenge us as architects to design a building that can adapt to each new technological development, and to changes in academia and learning modalities. This is no small feat, a library must be designed to be sustainable and adaptive– constantly ready to grow, to morph and to take on new dimensions and purpose as learning concepts and technology change and progress. 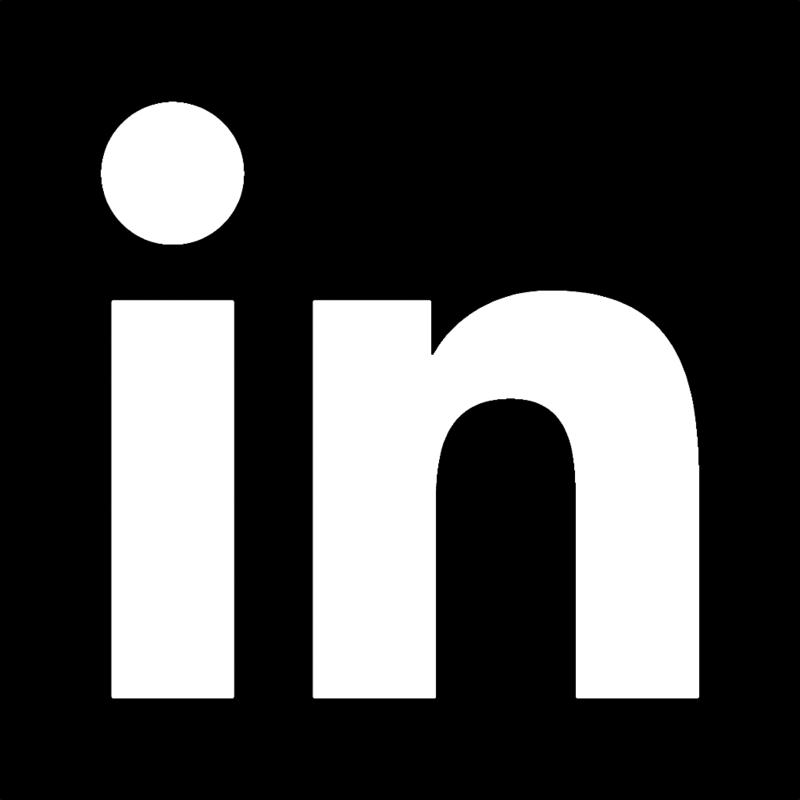 Our role as architects is to design for collaboration and exploration, engineer scalable and energy efficient building systems, and plan for future functional and infrastructure changes to the building. We accomplish this by using features such as natural light, intuitive wayfinding, universal design to accommodate all abilities and visioning for future technology systems — communications, HVAC systems, and ventilation. Harriman’s vision of tomorrow’s higher education buildings has been developed through in-house research, “best practices” from a cadre of projects and our work for institutions who are advancing the future of higher education. At the University of Southern Maine’s Portland campus, Harriman designed the Learning Commons on the second floor on the Glickman Library. The Learning Commons was a collaborative endeavor on the part of the University Division of Student Success and the school’s library to incorporate a range of academic support programs with library resources. Specifically, the aim was to leverage content, technology and services in a physical environment that encourages multiple modes of learning and discovery. Services offered in the commons include tutoring, the writing center, faculty offices, formal instruction, media printing and presentations, and academic advising. Architecturally, efforts consisted of transforming a traditional library model into more flexible spaces including collaborative learning spaces, small group study rooms, computer labs, student lounge areas, open tables and a multi-function help desk. The introduction of comfortable furniture, transparency, good natural and artificial lighting, and color and texture were important elements to enhance the project objectives and offer students a new home to study, socialize and connect. 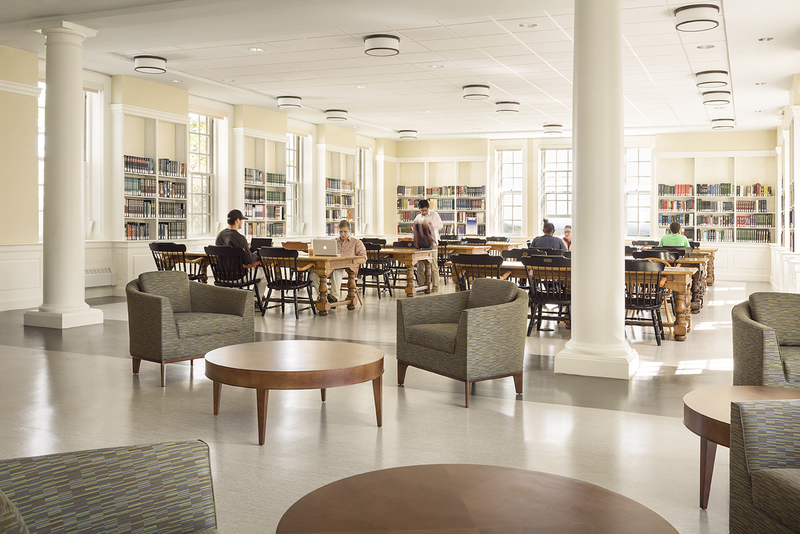 The renovation of Colby College’s Miller Library was similar in its transformative process– we created a timeless environment updated with modern amenities in a historic building. The entrance, lobby and main reading room were restored to its original architectural character. The overall library layout and circulation pattern were revised, requiring significant modifications to the load bearing masonry structure. The building’s infrastructure involved new HVAC systems for the library, tele-communications systems, lighting, power and fire alarm upgrades.